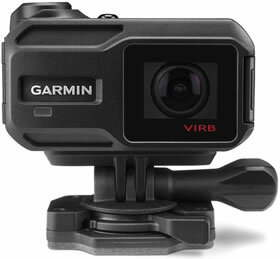 The Garmin VIRB XE is a video camera that will capture the view during any activity. The VIRB also offers a dedicated still photo button. The difference between the VIRB XE and VIRB X is the VIRB XE features G-Metrix for recording GPS, g-force and orientation data. You will also get WiFi connectivity with compatible devices. There are also different recording resolutions (1440p30, 1080p60, 720p120 and 480p20) and it also features a zoom feature. GPS tracking will help locate the VIRB XE and multi-camera syncronisation is also available when editing mulitple videos. 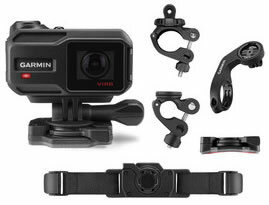 Accessories, spares and parts are still available for your Garmin VIRB XE. The VIRB XE is an action camera that will record video as you ride, skateboard, jump from aeroplane, sail, or in any other environment that you want to record video. There is also a dedicated button for taking still photos. Image stabilisation is also a feature that will ensure you get great picture quality whilst you are moving during activities where you may be wearing your action camera. The difference between the VIRB XE and the VIRB X is the XE is for professional and everyday use with also profile settings for different sporting activities. The VIRB XE records in 1440p30, 1080p60, 720p120 and 480p20 and also provide zoom capabilities. There is a G-Metrix function on the VIRB XE which records GPS, G-force and orientation; sensors will record speed, rotation, big air jumps and more and you can also get information from other compatible devices such as chartplotters on a sailing boat or from you bikes Garmin GPS device. Plus connect the VIRB XE to other devices with WiFi and share you recorded videos. Only available on VIRB XE is multi-camera syncronisation when editing video from multiple cameras in real-time. 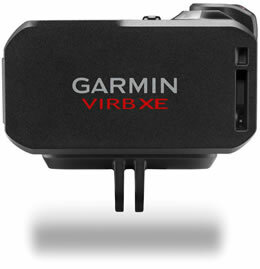 You can also track the location of the VIRB XE whereby it transmits its last known location when connected to a compatible smartphone. Both models feature a small screen on the top of the camera for control of the device. You cannot playback video but it will display your speed, distance, elevation and more. When you are busy during an activity wearing the Garmin camera you may like to take photos but be unable to press the button to take a photo. In these situations you can automatically set the Garmin device to take a photo after a certain interval up to intervals of every 120 seconds. You can also set the action camera to turn on only when in use to maximise the battery life of the Garmin XE camera. It will sleep whilst not in use. 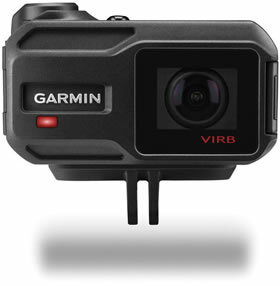 GPS technology also means you can track the VIRB XE. VIRB tracking can also be used to get the last known position of your camera - get navigation to the location using a compatible Garmin device or compatible smartphone. You will never lose your action camera again! You can dive to depths of 50 metres without the need for an extra case. The Garmin XE has also been designed to work whilst going in and out of the water as the hydrophobic, flat, all-glass lens provides clear underwater shots and between in water and out of water whereby water droplets run off the screen with ease so as not to interfere with recording videos or taking photos. The power contacts on the Garmin XE are weatherproof so you can connect to a vehicle battery with uninterrupted recording in the toughest of conditions. There is also a rechargeable/replaceable lithium-ion battery for maximum flexibility. The Garmin XE is also compatible with Garmin vector cycling power sensor, Garmin Heart Rate sensor and compatible fitness, aviation and marine equipment. 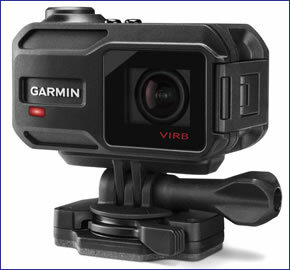 Looking for accessories to use with the Garmin VIRB XE action camera? We sell a vast selection of genuine parts and spares including VIRB XE Run HRM chest strap, wireless temperature sensor, remote control, car mount, lithium-ion battery pack, head strap and chest strap mount among many others.